So here’s something you may not know about me: There are few things I love on this good earth as much as Gilmore Girls. It pretty much goes 1) my family, 2) my dog, 3) the gift of life, and then televisual trips to Stars Hollow. OK, maybe that’s an exaggeration. But I’m one of the people who finally caught Gilmore Girls when it came to Netflix a few years ago, and discovering it there was like meeting the long-lost family I never knew existed, finding a language and a tonal wavelength that hit me right in the heart, on a practically chemical level. I have already watched the entire series start-to-finish twice, and I’m more excited for Netflix’s upcoming A Year in the Life revival than almost anything else this or any other year. I love going to Stars Hollow. It’s easy to call this series ‘comfort food,’ as many do, but I think that undersells its achievement – that it’s not just comfort food, but smart comfort food, soulful comfort food, comfort food that is makes one feel at home because it develops complex characters in a wonderfully rich setting, a world that is fully fleshed-out, not free of conflict, nor strictly beholden to reality, but true and honest to itself and its worldview. It is perhaps the closest any live-action American TV series will ever come to having a town as fully inhabited and richly developed as Springfield on The Simpsons (Pawnee on Parks and Recreation would be an obvious #2), and the core character dynamics are so fundamentally strong and unique that the show could frequently build long, endlessly entertaining scenes out of the most mundane interactions (the most dramatic Gilmore Girls sequences are, more often than not, family dinners). With A Year in the Life debuting on Netflix this Friday, I’ll be spending the week sharing my thoughts on my Top 20 favorite episodes of the series. Why Top 20? Because when I tried to list just 10 I came up with so many more (and because 20 is easily divisible by 4, the number of parts in which I’ll be publishing this list). Like Mad Men, which I also did a Top 20 'Greatest Hits' list for, Gilmore Girls was a qualitatively consistent show – most episodes are at least very good, and few, even during the show’s rougher patches, are obvious outliers one way or another. Normally, I would try ‘ranking’ a list like this, but I quickly found that to be a foolhardy task. I cannot name my favorite episode among these 20, nor can I easily say any of them are better or worse than one another. So instead, we’ll be revisiting these episodes chronologically, from the very beginning to the very end, in four articles, posting Monday through Thursday, with 5 episodes apiece. Today, we’re looking exclusively at Season One episodes, which has the most entries on the list (there will be one more from the season tomorrow). The first year is, to me, definitely the best – I look at the list of early episodes and how clearly the show was executing on its fundamental themes and philosophy, and it’s kind of staggering just how strong the series roared out of the gate. Each era of the series has its strengths, of course, and there are lots of periods even late in the game where Amy Sherman-Palladino and company were conjuring a kind of indescribable magic in bringing this town and its inhabitants to life in ways that were consistently entertaining and powerful. I love this show, and going on a journey down memory lane seems like the perfect way to celebrate it before Stars Hollow returns to our screens on Friday. 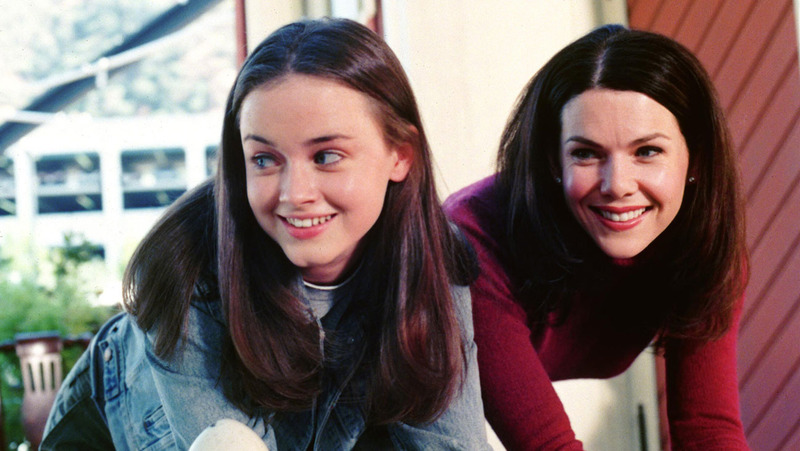 Few shows roar to life as fully formed as Gilmore Girls. There are plenty of amusing discrepancies in the Pilot – Stars Hollow looks nothing like itself in this first hour, Luke’s Diner in particular is a radically different set, and the writing leans on certain quirks like Luke being a health-nut and Sookie being clumsy much heavier in the Pilot than it would in the series proper – but Amy Sherman-Palladino’s voice is rock-solid and utterly confident itself from the word go, and Lauren Graham in particular has the rhythm of Sherman-Palladino’s language down pat. This is the role she was born to play, and seems utterly, confidently aware of it from the first images of the Pilot, clutching her coffee cup and preparing to enter Luke’s like a soldier going into battle. Her chemistry with Alexis Bledel, also an immediate natural at this, has every bit as much weight as it should for their relationship to soar, while Kelly Bishop and Edward Hermann deliver striking and powerful work right from the start. The Gilmore family foundation is absurdly strong right out of the gate, and to me, the most impressive thing about the Pilot is that it manages to find a compelling starting point for the story without really being a ‘premise pilot.’ In some sense, the story started 16 years earlier, with Lorelai running away from home, and we pick up instead with Lorelai grown-up, with her teenage daughter, comfortable in the status quo she has built for herself. The story of Gilmore Girls the series begins with this financial crossroads, with these old family wounds being reopened, and Sherman-Palladino manages to introduce the viewer into all of it without resorting to an uninitiated ‘point-of-view’ character to bring us up to speed. The Pilot is a great piece of writing, expertly executed by this wonderful cast, and if the show still had plenty of evolving to do, that wasn’t because of any lack of quality upfront. The Pilot is fantastic, and remains one of the show’s finest hours. It’s possible that “The Lorelais’ First Day at Chilton” is the best ‘normal’ installment of the entire series, a marvelous mother/daughter story that lays a perfect blueprint for how Sherman-Palladino and company would tell stories about how these two women, although technically at very different points in their lives, are close enough to experience many of the same anxieties and challenges. That it is the first regular episode produced speaks to how strong Sherman-Palladino’s initial vision was, and to what fertile narrative ground Chilton offered for the class-based stories that drove so much of Lorelai and Rory’s character development and conflicts. 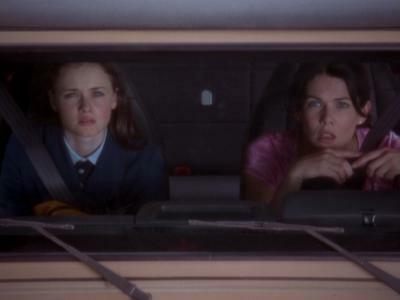 This episode is wildly funny, of course, as a minor comedy of errors spirals into Lorelai accidentally making a very bad first impression in front of Chilton teachers and parents, but it’s also effectively emotional, establishing the different but related challenges both mother and daughter encounter enrolling in this private school – for Lorelai, the unease at returning to the kind of upper-class setting she long since disavowed, and for Rory, the issue of entering into the kind of school where she’s always belonged but has never previously been a part of. “The Lorelais’ First Day at Chilton” exemplifies not only the show’s tone, but its complex social and interpersonal themes as well, and is easily one of the series’ shining achievements. Is this is the funniest hour of the series? That’s probably an impossible question to answer, but I am certainly partial to the turn of phrase “I got hit by a deer,” and especially to the perfectly earnest way Alexis Bledel utters it every time (accompanied, of course, by every other character’s reaction). The aforementioned deer incident happens when Rory borrows Lorelai’s car when she’s running late to a test, only for a deer to run into her car while she’s at a stop sign. It’s the kind of mundanely surreal moment David Lynch would be proud of, and which the episode mines an awful lot of comedy value out of, with Rory desperately trying to make everyone else understand that while a deer came into contact with her car, she most certainly did not hit it. Of course, the episode works because the absurd scenario organically underlines the pressure Rory feels at school, and the difficulty both she and Lorelai have navigating this upper-class setting. Rory’s outburst in Mr. Medina’s class works on at least three different levels; it’s funny, first off, but it also pays off on four hours’ worth of Rory being heckled and tormented by her peers, and in seeing her finally lose it and fight back, we see a side to the character that had been completely bottled up before. This in turn brings out new shadings to Lorelai and her relationship with Rory, and makes for an incredibly sweet closing scene, as mother and daughter revisit the site of the deer incident and bond over making jokes about it. A lovely episode all around, and another sign of how strongly the show was firing on all cylinders in its inaugural season. Gilmore Girls was always adept at taking stories in unexpected directions, and there is perhaps no episode that better exemplifies this quality than “Kiss and Tell.” After Rory shares her first kiss with Dean, she holds off on telling Lorelai; and when Lorelai finds out, she becomes far more stressed out about it than she would have expected. 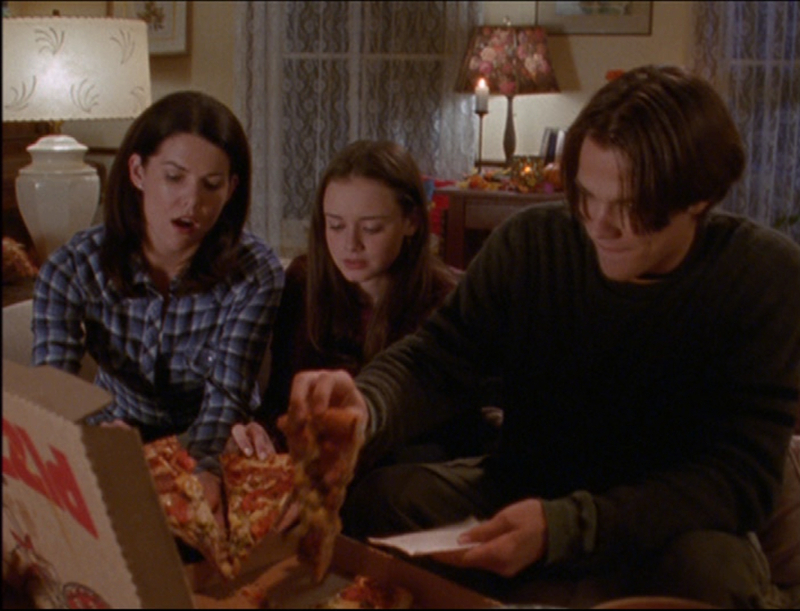 Unsure of how to react, Lorelai impulsively invites Dean to a ‘date night’ at her and Rory’s house, a story beat that seems awkward and forced in the vein of a bad sitcom right up until the moment the episode unexpectedly transforms into something impossibly sweet and heartwarming. The ‘first date’ that should be awful, with Lorelai sitting next to Dean and her daughter on the couch, instead goes well; Dean wins over Lorelai, he and Rory enjoy each other’s company, and when Rory starts to freak out, Lorelai realizes she needs to back off and trust the two to spend time alone. It’s a great episode precisely because of how fiercely it undercuts our expectations of how these kinds of stories should go, and is another hour that perfectly encapsulates the show’s primary motif of comparing and contrasting how mother and daughter experience these major life steps. Especially on a second viewing, it’s amazing to see how confidently the writing comes together, and it’s no surprise that Jenji Kohan, who wrote only this one episode for the series, would go on to be a major voice in television herself (she’s the creator of both Weeds and Orange is the New Black). It’s hard to remember, but among the core group of characters, it’s probably Luke who took the longest to come into focus. Scott Patterson was great from the beginning, his chemistry with Lauren Graham undeniable, but the first few episodes of the series seemed unsure of how heavily to feature him or whether his relationship with Lorelai, Rory, and the town itself extended beyond serving food and coffee. 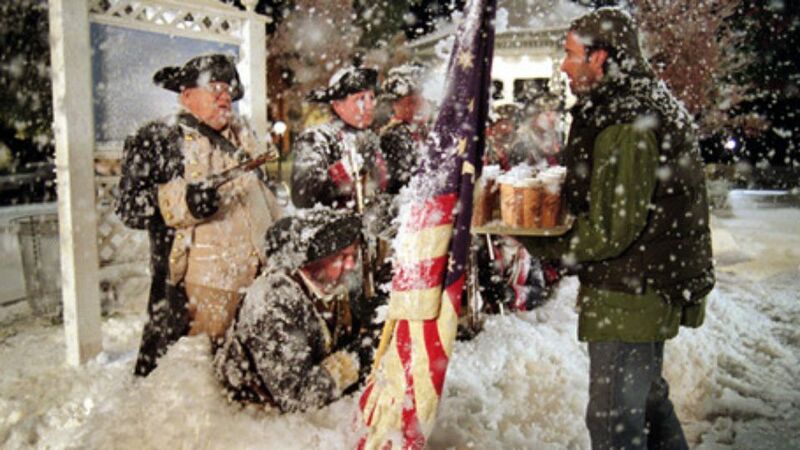 “Love and War and Snow,” then, is the first great Luke story the show told, and is not coincidentally one of the first standout stories about Stars Hollow’s quirky traditions. It’s only a B- or C-plot – the other stories in this hour are Lorelai going on her first date with Max (which is good) and Rory introducing her grandparents to the joys of frozen pizza when stuck at their house thanks to the blizzard (which is great) – but even in a stacked episode, this is the plot that stands out, as Luke’s annoyance with the re-enactment of the (extremely minor) ‘Battle of Stars Hollow’ shines a crucial light on his character. We already knew Luke was a bit of a grump prone to mock his fellow townsfolk, but this episode is the first to underline that how no matter how distant he tries to stay, Luke is an essential part of this town, just as this town is an essential part of his identity. The story builds to a sweet conclusion – Luke brings hot drinks out to the freezing reenactors, ending the hostilities in a nonverbal way that is quintessentially Luke – and establishes Luke as such a strong character in the process that it would be forever difficult to fully invest in any of Lorelai’s other relationships, including the one that kicks off in this very episode. Come back tomorrow as our journey through the finest hours of Gilmore Girls continues, with #6 - #10 on the Top 20, and throughout the week as we prepare to welcome this wonderful series back into our lives.